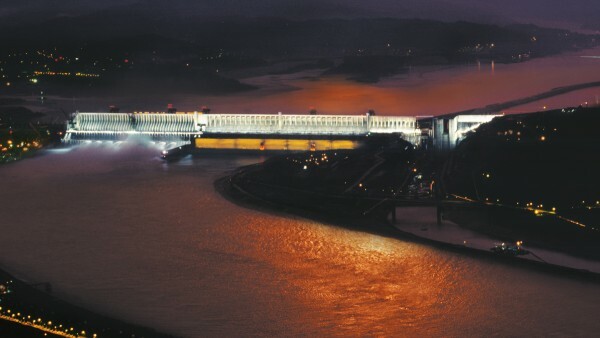 Conventional hydro power plants rank third in the world when it comes to how much power they generate, and their importance will continue to grow – in China and Brazil, for example, where new and impressive dams are being built. Even so-called “small hydro power,” which comprises plants of up to around 10 MW, is once again becoming increasingly common, such as for supplying smaller electricity consumers in a decentralized way. Hydrodynamic screws and water wheels, which have essentially remained the same since ancient times, are also being put to use here. River current turbines, on the other hand, are a relatively new technology; these come in various sizes and types and are driven solely by natural river currents. Different concepts are currently being developed and tested, many of which include bearing technology from Schaeffler. Waves and currents are ideally suited for producing electric power from their kinetic energy. There are various approaches to achieving this. A few concepts are still in the early stages of development. Others have already proven themselves in practice. Around the world, Schaeffler is a sought-after partner for bearing solutions used in producing power from ocean energy – in all relevant technologies, for all bearing positions needed, and in all phases of the road to commercialization. We also support our customers with our expertise, experience, and engineering resources. As a development partner, we are often involved in projects at an early stage and follow groundbreaking ideas, concepts, and products on the path to market readiness and beyond. Schaeffler has developed the bearing technology for numerous plant and component prototypes for utilizing ocean energy, frequently customizing it to suit the individual requirements of the customer. Besides this, we are also independently researching solutions that can better withstand the special ambient conditions of marine applications – such as new materials and coatings. Very different approaches are taken for generating power from wave energy. For example, pneumatic chambers make use of the oscillating water column principle. Other systems work with the movement of floating bodies relative to each other. Schaeffler offers bearing solutions for every important technology concept. 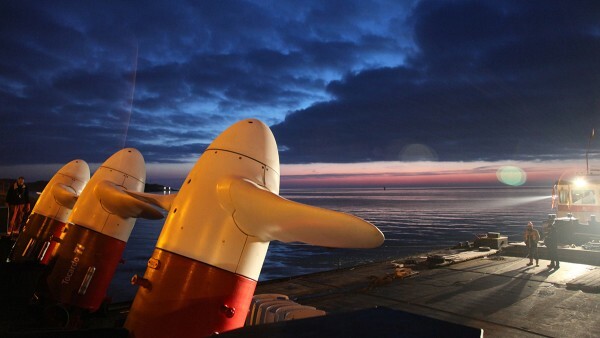 Current turbines in the ocean have a great potential for energy production. The technology used here is essentially the same as that of wind turbines. Our customers in the field of ocean current turbines therefore also profit from our extensive experience and our technical resources from the wind power sector. Around the world, Schaeffler is a sought-after partner for bearing solutions used in producing power from ocean energy – such as for the bearing positions in turbines.